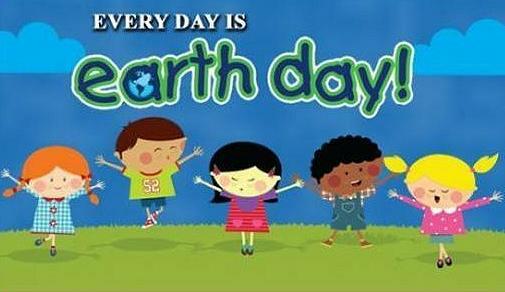 WASHINGTON, DC, April 22, 2105 (ENS) – On its 45th anniversary, Earth Day 2015 has gone mainstream. Across the United States people from all walks of life engaged in enthusiastic actions to protect the planet and voiced dire warnings about the consequences if we fail. 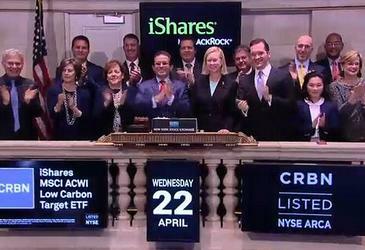 The New York Stock Exchange recognized Earth Day by having Ceres President Mindy Lubber to ring the opening bell. Based in Boston, Ceres mobilizes a network of investors, companies and public interest groups to build a sustainable global economy. Lubber then traveled to Washington, DC to lead a diverse group of companies to Capitol Hill to tell Congress to act now on climate change. “These companies, including Kellogg, Unilever, PepsiCo, Starbucks, Nestle, Mars and Owens Corning, believe that reaching a strong global deal on climate change in Paris this December is critical for the long-term stability of their businesses and the overall economy,” said Lubber in an email. “It’s time for our elected officials to follow their cue and recognize the urgency and economic imperative of tackling climate change,” Lubber wrote. The four investor groups on climate change have published a guide outlining a range of strategies and solutions investors can use to address climate change, including low carbon investment, managing and reducing carbon exposure in portfolios, and engagement. The Department of Transportation’s National Highway Traffic Safety Administration, NHTSA, today highlighted the Obama Administration’s leadership in reducing greenhouse gas emissions by increasing the fuel efficiency of vehicles. Thirteen automakers participated in NHTSA’s Advanced Fuel-Efficiency Vehicle Showcase: Audi, BMW, Ford, Chevrolet, Honda, Hyundai, Kia, Lexus, Mazda, Nissan, Tesla, Toyota, and Volkswagen. On Earth Day, U.S. Representatives Mark Pocan of Wisconsin and Jan Schakowsky of Illinois, both Democrats and members of the Safe Climate Caucus, introduced the Protect Our Public Lands Act, H.R. 1902. The legislation is the strongest anti-fracking bill introduced in Congress to date and would ban fracking on public lands. “Today is Earth Day, a time to renew our commitment to protecting the air we breathe, the water we drink, and the planet we all call home,” said Schakowsky. 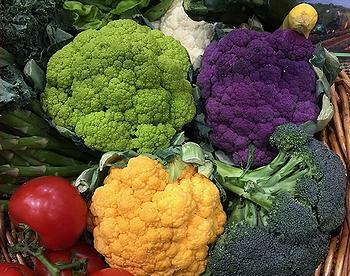 The legislation is endorsed by Food & Water Watch, the American Sustainable Business Council, Environment America, Friends of the Earth, Center for Biological Diversity and Progressive Democrats of America. 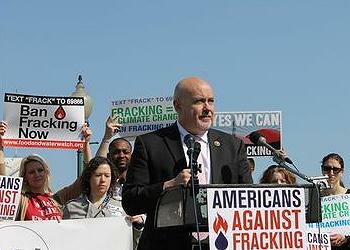 Many environmentalists celebrated their wins and voiced their concerns. The Pew Charitable Trusts celebrated the Obama Administration for putting must of Alaska’s Bristol Bay off-limits to energy development and creating two new national monuments – the 500,000-acre Organ Mountains-Desert Peaks National Monument in New Mexico and the San Gabriel Mountains National Monument that safeguards 350,000 acres near Los Angeles. Pew congratulated Congress for designating seven new wilderness areas. The Waterkeeper Alliance announced a partnership with His Holiness the Gyalwang Drukpa, a Buddhist spiritual leader with millions of followers across the Himalayas and beyond, to launch a major initiative to protect the waters of the Himalayas, known as the “third pole” because it has the largest concentration of glaciers outside the Polar Regions. “The Rainforest Action Network’s Earth Day is about saying enough is enough,” said spokesman Brad Schenck. “I’m asking you to join us in our most important actions to preserve our forests, protect our climate and defend the human rights of frontline communities,” said Schenck. * – Ralph Lauren must get deforestation and human rights abuses out of fashion. * – President Obama must end coal, oil and gas [giveaways?] leases on our public lands and waters. * – PepsiCo must eliminate Conflict Palm Oil from its snack foods. * – The world’s biggest palm oil traders must enforce an immediate moratorium on the clearance of rainforests and peatlands in the Leuser Ecosystem on the island of Sumatra in Indonesia. * – The U.S. Export-Import Bank’s must not destroy the Great Barrier Reef through coal financing. Foundation Earth released an open letter from environmental advocates describing the urgent need for a giant U-turn on native forest loss. They called for a doubling of the native forest canopy on the Earth. They are circulating a petition calling on all people to work together to achieve this goal. National Farmers Union President Roger Johnson today saluted Earth Day on behalf of family farmers, ranchers and fisherman. In Hawaii, The Berry Company, publisher of the Hawaiian Telcom Yellow Pages, is partnering with schools on the islands of Hawaii, Kauai, Lanai, Maui and Molokai to launch Think Yellow, Go Green, the company’s annual environmental awareness and recycling campaign. Schools will compete to collect the most outdated telephone directories, which will keep the directories out of landfills through recycling. The schools can win cash prizes. On the West Coast, Pacific Park on the Santa Monica Pier’s famous solar-powered Ferris wheel celebrates tonight with green patterns and designs in support of Earth Day. The world’s only solar-powered Ferris wheel has 160,000 energy-efficient LED lights that present computer-generated lighting entertainment each evening with 75 percent greater energy savings than most Ferris wheels. The Ferris wheel lifts riders more than 130 feet above the Pacific Ocean for views of the Southern California coast.